THE MSRB (In Plant Multi-station Rebar System-3 channel Standard) SYSTEM continuously monitors the coating line process as reinforcing bar runs through the RBRS dual-roller wet sponge electrodes unit. When a holiday is discovered, a red light flashes at the appropriate station on the detector unit for a visual indication, and the unit sends an eletrical output to a plug on the back of the unit. The MSRB signal output plugs drive any 120 Volt AC customer furnished horn, bell, recorder or computer. 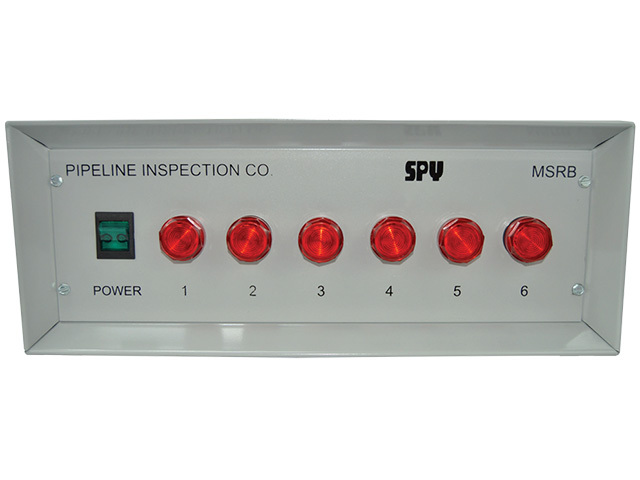 MSRB DETECTOR UNITS operate off a standard 60 120-Volt, 60 cycle single phase power source. They control output to the electrodes and and detect holidays. Red signal lights on the front of the unit flash to indicate holidays. 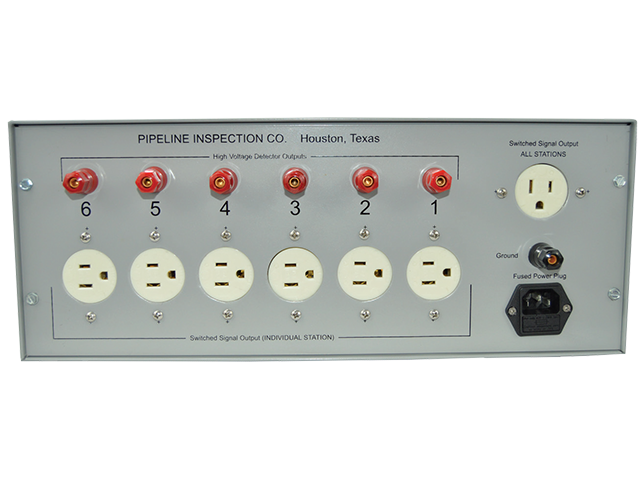 Switched signal plugs on the back of the MSRB provide for output to custome rsupplied remote counter/signal systems. An individual detector can be supplied with from three to six stations as required. For rebar coating layouts with more than six lines, multiple MSRB detectors can be installed to match the number of lines as needed. Reliably detects the most minute coating pinholes, scratches and other breaks. Operates from a standard 120V, 60-cycle single phase power source. Additional MSRB units can be added to match rebar coating line layouts. Compact size allows placement in any control station. Allows visual and (optional) audible detection of alarms.